This waterproof raincoat in 20,000mm water-permeable Dermizax® 3-D Thermal Black efficiently absorbs and converts sunlight into warmth. Its waterproof credentials are enhanced by seam tape sealing of all important sewn seams. On the inside, it is backed by a 3-D Dot Print technique to prevent stickiness on the skin. 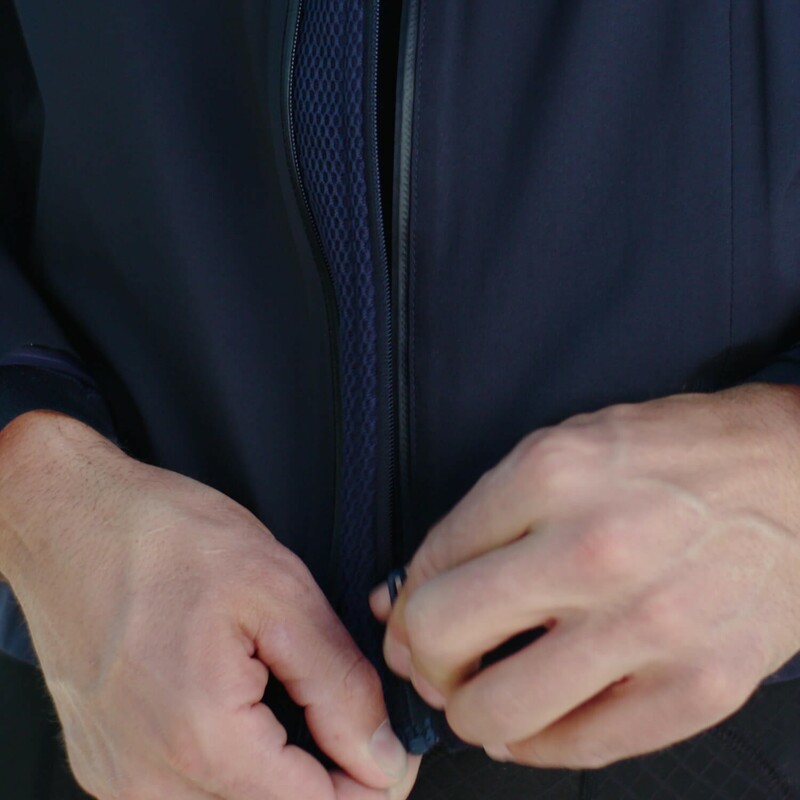 The rear hem of the jacket also has a mud flap to protect riders from wheel spray in wet weather.